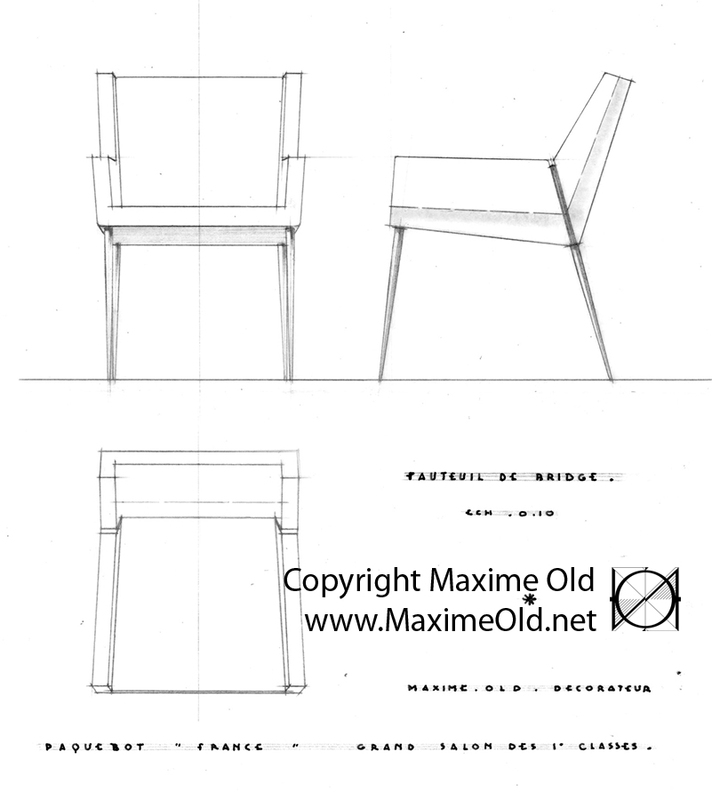 Like the Paquebot France Relaxing Armchair this seat is first created with wooden legs. 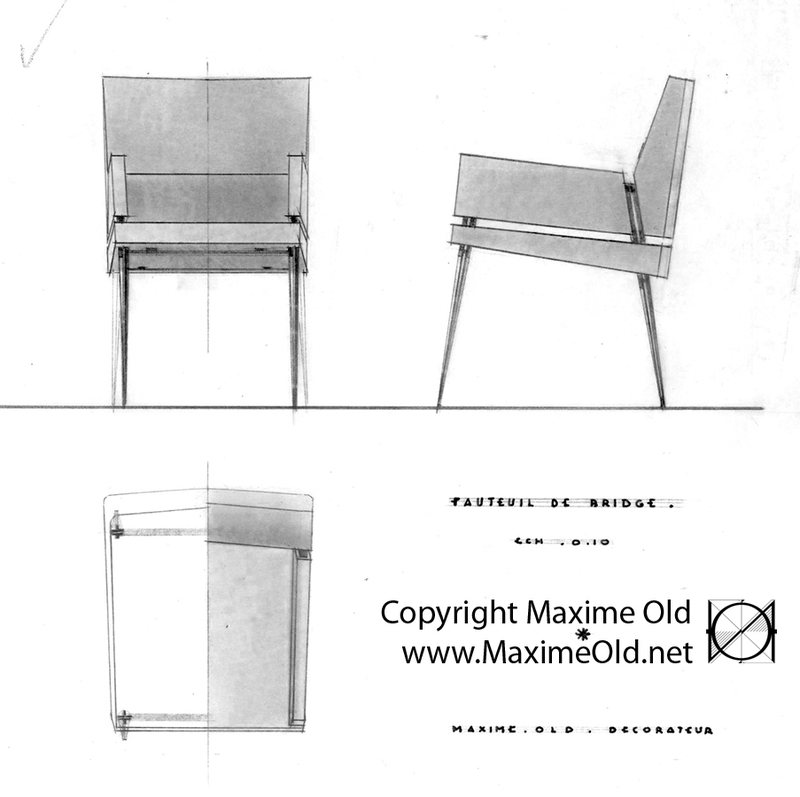 It is the version exhibited in 1961 with the Bridge Onyx Table at the Salon des Artistes Décorateurs, foreshadowing the bridge corner of the Fontainebleau Lounge of the cruise-liner. 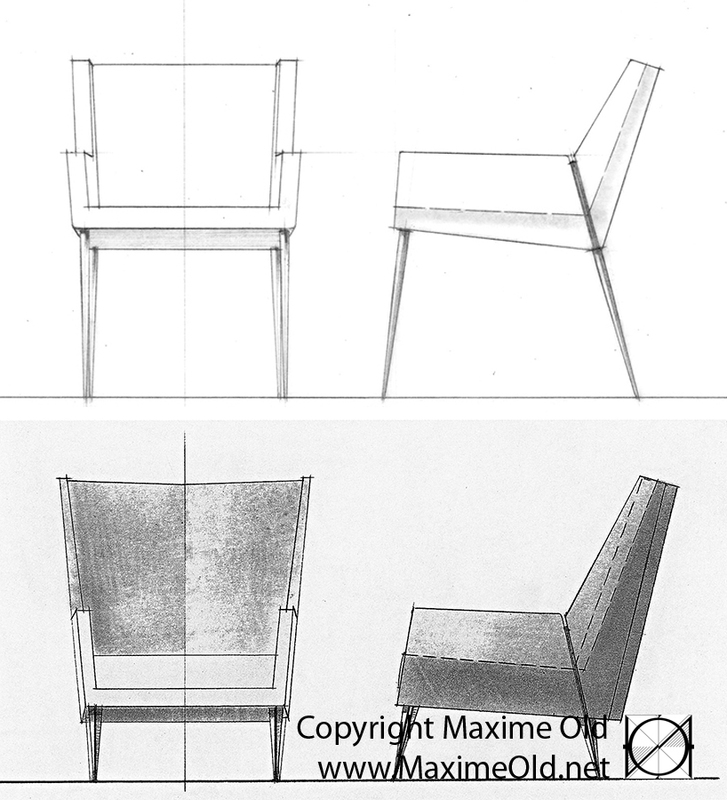 It is obvious that its design is quite homogeneous with the Paquebot France Relaxing Armchair’s: upside down pyramidal shape of the body, emphasized joint between seat and back …..with its own personality. 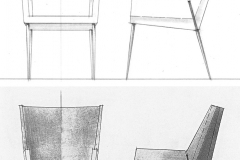 There is a slightly different version of this armchair with truncated tubular steel legs. 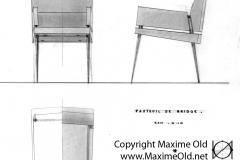 For the first class main lounge of the Paquebot France Maxime has foreseen a steel base made of bars, as sophiticated and innovative as those of the Relaxing Armchair and the Light Armchair. 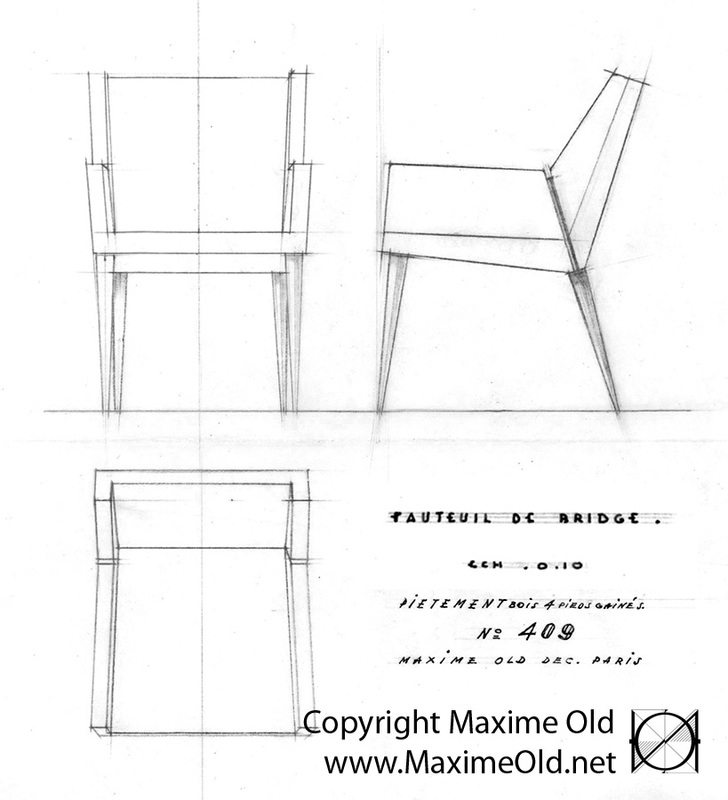 Unfortunately on November 18, 1961 drastic savings are required for the Paquebot France and a standard armchair not designed by Maxime, replaced the Bridge Armchair. 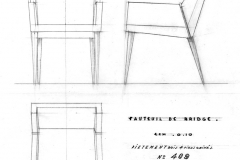 Hence, never made until now the Paquebot France Bridge Armchair is now produced for the first time as part of the “Paquebot France Collection” where it belongs naturally! 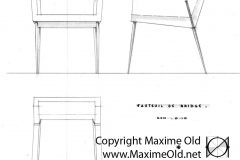 Back to Maxime Old Biography or see more about our present release of this Armchair.